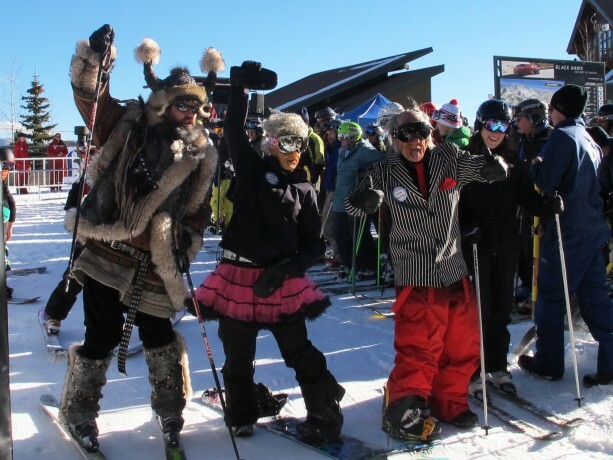 The 53rd annual Breckenridge Ullr Festival kicks off this winter on January 13th-16th. Here’s a preview of what to expect. My first Ullr Festival experience was ten years ago. It involved beer and a bunch of half-naked men running down Main Street in sub-zero temps with Viking hats on as the sun set over Breckenridge. As the years have passed, thankfully, not much has changed. 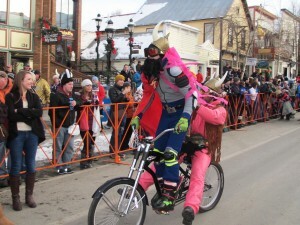 Breckenridge continues to throw a massive 4-day party to celebrate snow and the God of Winter, Ullr. Ullr is a Norse God of snow, who is said to have loved the cold, and traveled across the north on skis. Also an avid hunter, Ullr caught game in the forests, blanketed and protected by the snow he fell. In his celebration, and with fingers crossed for more snow, Breckenridge hosts a town-wide party. Beginning this year on January 13th with an early morning Breck Ascent Series race, make room for more beer and feasting. The crowning of this year’s 53rd annual King and Queen is also scheduled for Thursday while the evening caps off with Breck’s Got Talent, a local talent show held at the River Walk with free Bud Light for adults. On the 14th, don’t miss the world’s largest shotski, once again hosted by Breckenridge Distillery. Last year, the shotski involved 777 participants and was 1,250 feet long – can we break our own record? 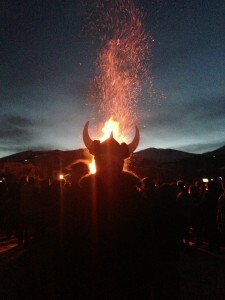 The night culminates with the yearly Ullr Parade (want to join? Register here) down Main Street and Ullr Bonfire, where it’s said that sacrificing skis to the fire invites the gods to deliver more snow. As the weekend continues, don’t miss the hangover breakfast, hockey games, ice skating and comedy sketches. For more of the week’s activities and information on how to join in the above events, check out GoBreck.com. Still not convinced to don your Viking helmet and furs? Check out photos and videos of past year’s events. For lodging deals, head to GoBreck.com. Interested in partaking in some of the snow Ullr brings? Go to www.breckenridge.com for or skiing and snowboarding lift tickets.